Is there such a thing as expedited removal of an immigrant and, if so, what is it? - Hacking Law Practice, LLC. For Immigration Who Want To Come And Stay In The U.S.
Is there such a thing as expedited removal of an immigrant and, if so, what is it? Most people believe that removal orders or “deportation” orders only happen when you go to the immigration court and see an immigration judge. Unfortunately, this is not the case. There is a special type of removal order that is issued at the border by a U.S. 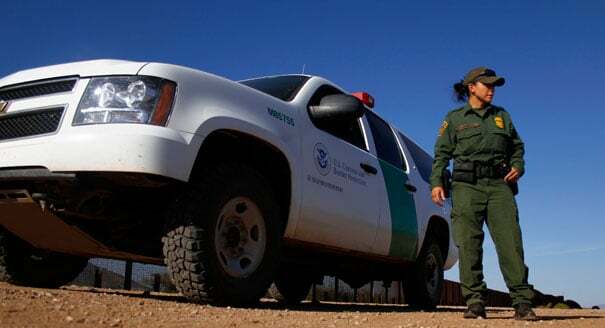 Custom and Border (CBP) patrol officer. You never see a judge and you never see an attorney. This type of order is called an “expedited removal” order and here’s what you need to know in order to protect yourself. How Is an Expedited Removal Order Issued? That the immigrant has committed some sort of fraud or misrepresentation. See INA § 212(a)(6)(C)(i)-(ii). Some examples are if an immigrant lies about being a U.S. citizen or claims to be a visitor to this country when in fact they already live here or intend to live in the U.S.
That the immigrant is not in possession of valid documents to enter the U.S. See INA § 212(a)(7)(A)(i)(I). The most common example is when someone does not have a valid visa to enter the U.S.
CBP officers are limited in their ability to use the expedited removal process because there is no chance for the immigrant to speak to an attorney or see a judge. Therefore, it is a process that is meant to be used only in specific situations. However, the CBP officer is required to advise you of the charges against you and give you an opportunity to respond to those charges in a sworn statement. See 8 C.F.R. § 235.3(b)(2)(i). If the immigrant expresses a fear of returning to their home country. In this situation, the CBP officer must give the immigrant the chance to be interviewed by an asylum officer to see if they might have a way to stay in the U.S. through asylum. However, the immigrant will usually be placed in a detention center during this time. In some circumstances, an immigrant could also ask that CBP allow them to “withdraw their admission” instead of issuing an expedited removal order. Basically, this means that you no longer want to enter the U.S. and you would like permission to return to your country. Such a request is completely up to the CBP officer and does not have to be granted. All expedited removal orders carry with them a 5 year ban on re-entering the U.S.
An expedited removal orders will carry a life-time ban on re-entering the U.S. if it was issued because the immigrant was found to have committed fraud or misrepresentation. What Can You Do After An Expedited Removal Order is Issued? In some situations, you can apply for permission to re-enter within the 5 year ban by submitting an application for permission to re-enter (Form I-212). If you were charged with fraud, some people are eligible to apply for a waiver of that fraud if they can show that a U.S. citizen or Lawful permanent resident spouse or parent would suffer extreme hardship if they are not permitted to obtain lawful status in the U.S. See INA § 212(a)(6)(C)(iii). There is also a waiver due to fraud for certain victims of domestic violence. See INA § 212(i). However, if your fraud was claiming to be a U.S. citizen, there is no waiver (unless very narrow exceptions apply such as the fact that you were a minor at the time). There is no waiver for most people of the 10 year ban if you return to the U.S. illegally after being issued an expedited removal order. Some victims of domestic violence in very narrow situations can obtain a waiver of the 10 year ban. Finally, there is no appeal available of expedited removal orders. However, it is possible for an immigration attorney to request that CBP review the order to determine if it was properly issued. If the CBP officer made a mistake in issuing the expedited removal order, it is sometimes possible for CBP to take away the expedited removal order form an immigrant’s record.